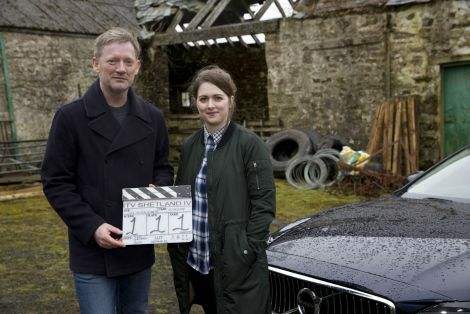 THE CAST of BBC One crime drama Shetland say they are “delighted” to be returning to the isles in May as filming work continues on its fourth series. The popular TV series will shoot across Shetland for the whole of the month, while the production will also go on location in Glasgow and Norway. 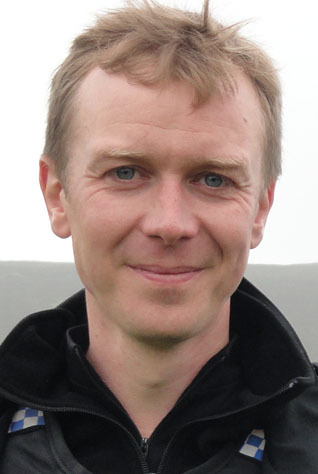 Local actor Steven Robertson, who plays the part of Constable Sandy Wilson, feels the show “can’t do anything but good for the isles” as it promotes Shetland on a worldwide stage. The programme has been added to subscription service Netflix, meaning that viewers across the globe have been watching the show on demand. Promote Shetland boss Andy Steven said “no marketing budget in the world could have had the impact” the series has had in boosting the profile of Shetland across the world. Existing cast members Douglas Henshall, Alison O’Donnell, Steven Robertson, Mark Bonnar and Julie Graham are all on board again for the six-part series, while a host of guests will also feature. Robertson, who recently featured in blockbuster film T2 Trainspotting, said the crew of the TV series are becoming increasingly fond of the isles. “I am delighted there’s another series of Shetland and that we’re coming home to film next month,” he said. There is been a significant tourist element to Shetland too, with its sweeping landscapes proving to be a pivotal, and attractive, element of the show. “I do hope that it has done something for the numbers of visitors to Shetland and from what I hear that is the case,” Robertson said. Alison O’Donnell, who won plaudits during the third series for her portrayal of DC Alison ‘Tosh’ MacIntosh as she went through the ordeal of a sexual assault, will reprieve her role and she said visiting Shetland has always been a high point in her career. “I’m really looking forward to getting back to Shetland – we all are,” she said. Andy Steven said that while it is impossible to quantify the number of people who have visited Shetland purely as a result of the show, there is a “definitely an increase in interest” in the isles because of the programme. “From a Promote Shetland point of view, from people discussing reasons why they’re here, whether it be through the webcams interface or social media, there’s a very, very strong connection with people coming here who have seen it,” he said. Steven said English author Ann Cleeves, who created the characters and whose stories were translated onto the screen for the first two series, was also a “phenomenal ambassador” for the isles. “When you put all these things together, you just can’t put a price on it,” he said. Meanwhile, local extras are currently being recruited for filming. Those interested in taking part should visit the dedicated Facebook page. Bressay residents in particular have been asked to get in touch about appearing in a music festival themed scene at the island’s Gardie House on 7 May.